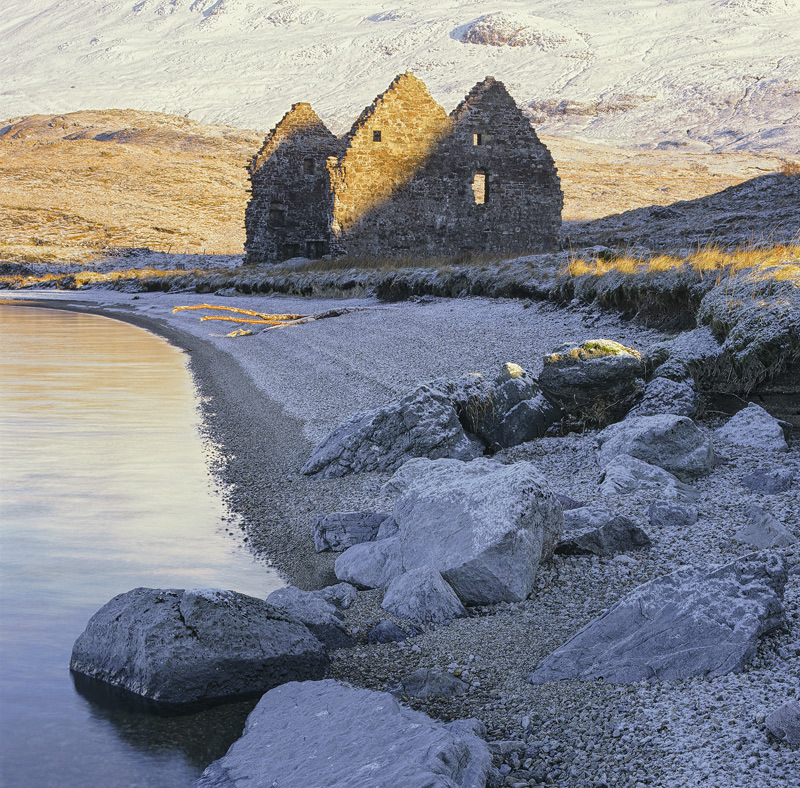 Calda House a derelict double gable ended ruin at the edge of Loch assynt near Ardvreck Castle has quite a history behind it, involving mermaids and abduction. Feel free to look it up for yourself. On this particular stunning winter morning the loch was relatively still and we were treated to a stunning rose red sunrise. The shingle bay still in shadow was coated in thick rime which was toned blue by the clear overhead sky. I waited for an age for the light to migrate down the hill so that the gable ends created shadow and depth to the building and the window gazed onto a lit snow clad slope. The bonus was the red sun light serendiptously striking the wood snag on the blue toned beach.